on October 29, 2015 at 1:46 am Država je kriva za sve (6) | Tko je John Galt? on July 9, 2015 at 10:48 pm Austerity | Tko je John Galt? @Fluffy, the y-axis is total government spending for the EU and EA, in billions of euros. @David, I assume the data is for total spending. 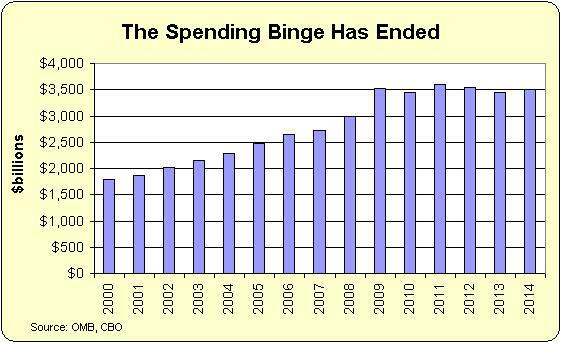 But with interest rates so low, I suspect the growth in spending is because of program expansion. Probably in part because of aging, as you suggest. Just two questions. Dies the government spending include interest on debt? In which case, does the overall growth in spending reflect programs or interest cost? Secondly, How to we relate the spending increase to population; which is aging and ultimately declining in Europe? Well, … if the budget cuts have not arrived yet, …they will. With average Eurozone trendline growth at one percent or less, and voters pushing for government to grow much faster than that, the eventual cuts are inevitable. does it really matter that much in the big scheme of things? But the slow growth decline will not stop at the middle income country level. Nasty thing about growth (or lack thereof) is that it keeps compounding — or pounding you down into systemic decline. Excellent post, mr. Mitchell… can you just explain what exactly does y-axis on your first chart measure?